Have you heard of lime meringue pie before? 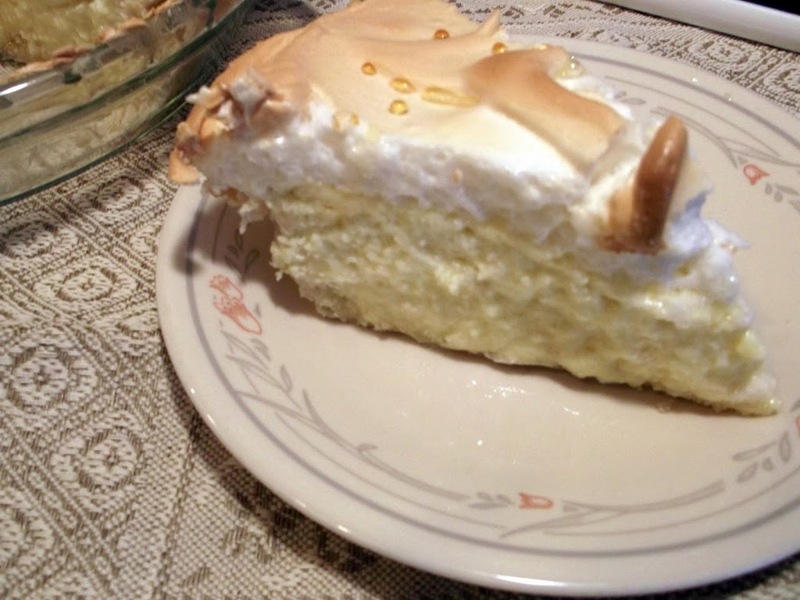 I have made lemon meringue pies many times, but I had never heard of lime meringue. When I saw the recipe for this it got my attention. Mike likes anything citrus flavored when it comes to baking. So I showed the recipe to him and asked him if he would like me to make it for him. I guess since I am posting about lime meringue pie you know what his answer was. I have eaten key lime pie only once in my life and it has been a number of years ago. So I was wondering if this pie would be like a key lime pie, since I have never made I looked at a recipe for a key lime pie and noticed that the two are similar on how they are made. The recipe called for four limes, but I didn’t look at the recipe as closely as I should have before grocery shopping. I was thinking of my lemon meringue pie that I make that uses one lemon, so I took it for granted that the lime would be similar. There was a good sale on limes that day so I did happen to buy three limes, so that is what I used. After Mike ate some of the pie he said that he thought that I should have had the fourth lime, so next time I make it I will be sure to have the fourth lime. The pie did turn out creamy and I thought it was delicious with the three limes. So if you like citrus flavored baked goods, I think that you will like this recipe. 2. For the crust, sift the flour and salt into a mixing bowl. Using a pastry blender, cut in the shortening until the mixture resembles coarse crumbs. Sprinkle in the water, 1 tablespoon at a time, tossing lightly with a fork until the dough will form a ball. 3. On a lightly floured surface, roll out the dough. Use it to line a 9 inch pie pan, easing in the dough and being careful not to stretch it. With your thumbs, make a flute edge. 5. With an electric mixer on high speed, beat the yolks and condensed milk. Stir in the lime rind and juice. 6. In another clean bowl, beat 3 of the egg whites until stiff. Fold into lime mixture. 7. Spread the lime filling in the pie crust. Bake 10 minutes. 8. Meanwhile, beat the remaining egg whites and the salt and lemon juice until soft peaks form. Beat in the sugar, 1 tablespoon at a time, until stiff peaks form. Add the vanilla. 9. Remove the pie from the oven. Using a metal spatula, spread the meringue over the lime filling, making a swirled design and covering the surface completely. 10. 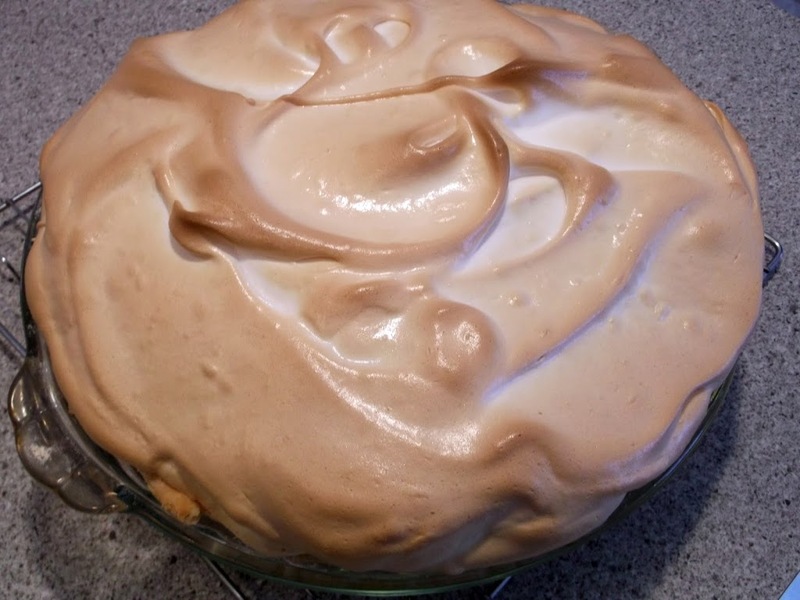 Bake until the meringue is lightly browned, about 12 minutes longer. Let cool, in the pan, on the rack. Sweet + tart = perfection. It looks wonderful. Yummie, I like this pie with condensed milk…looks so creamy and so tasty. Beautifully done! I never heard of lime merinque but it’s a delicious idea! Lime seems much sweeter to me than lemons. The pie looks amazing! 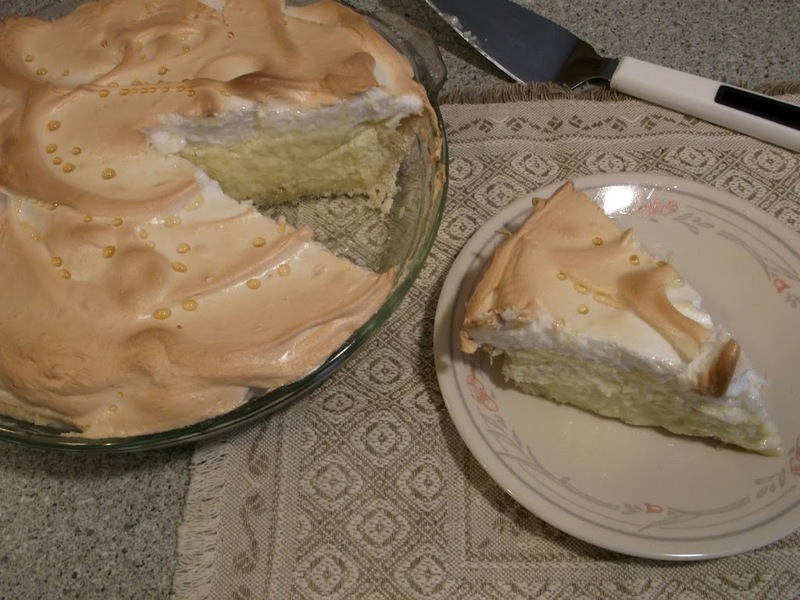 Mmmmm….I love lemon meringue, but this one might be even better!! !